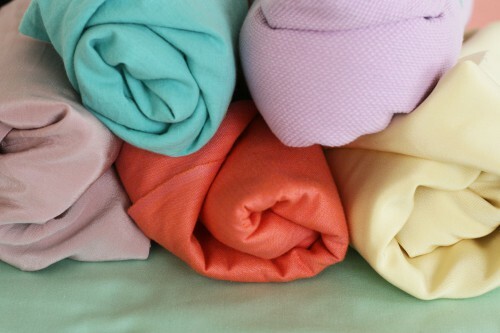 We’ve already discussed different kinds of fabrics with the fabric series. Continuing in the same thread, we’re going to have a few posts discussing grainline. You’ve probably seen the term used freely in books or blogs. Sewers, especially beginners, are often confused with the concept. It’s something we all must learn and is incredibly important in sewing. This first post will help you understand the terms used to describe grain and what it is. 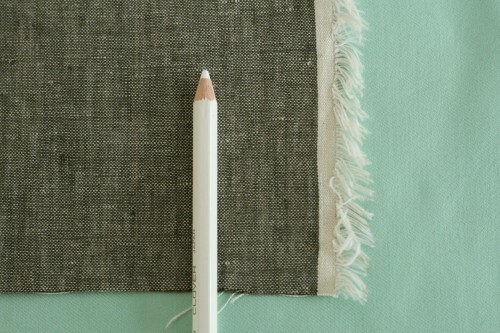 Woven fabric has two finished edges, which is known as selvage. 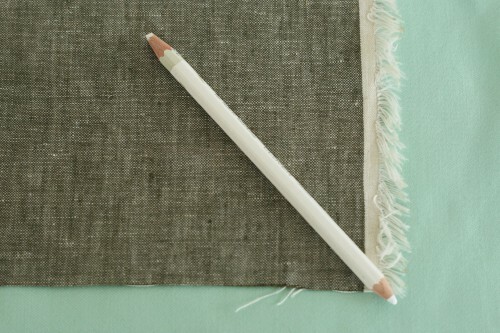 The selvage is the part of fabric where you often see manufacturer’s information, contrasting trim, etc. The selvage does not fray, although some selvages have frayed threads hanging off after the finished edge. This fraying will not affect the fabric in any way. The line of thread moving from selvage to selvage is called weft. I like to think of it with this rhyme: right to left, weft. Kind of cheesy, I know, but it helps! In sewing, the weft is mostly referred to as the crosswise grainline. The next time you buy fabric, watch the fabric being cut. It will be cut along the crosswise grain. The line of fabric that moves at a right angle to the crosswise grain is the lengthwise grainline. 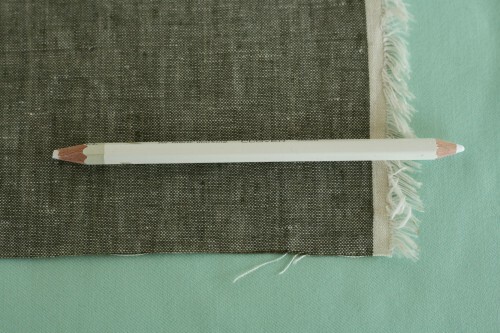 This thread runs the entire length of the fabric and is parallel to the selvage. When you place a pattern on the fabric, you align the pattern’s grainline with the fabric’s lengthwise grain. Unless otherwise noted, grain or grainline generally refers to the lengthwise grain. True Bias is an invisible line that’s at a 45 degree angle to the crosswise and lengthwise grain. It has a good deal of stretch. When garments are cut on the bias, they hug and move easily with the body. Fabric for spaghetti straps, bias binding and cording are also cut on the bias. Look for the next post describing why cutting on the grain is so important and how to find that sometimes elusive grainline! It’s true that grainline is important…but in all the years I’ve spent sewing, I’ve never pulled a thread to find the grainline on my wovens. Not once. And I’ve had many successful garments (my definition of successful – it’s finished and I wear it). My advice is not to get too caught up in finding that thread. However, do make sure your pattern pieces are placed correctly, and evenly parallel to the selvedge. Sewing’s so much more fun that way! MB, I’m a little confused… I don’t think this post mentions anything about pulling out a thread? You’re right, this was a typo! We’ve corrected the post. 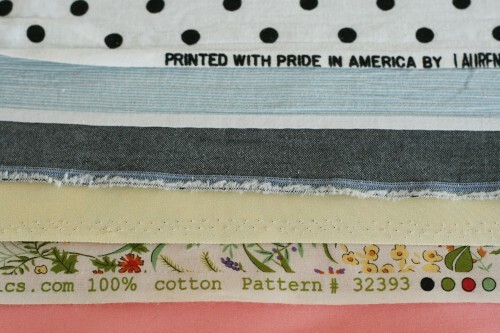 this post makes the assumption that you are starting with fabric with a selvage. Great. I am starting with worn clothing….so no help here finding the grain line. Perhaps the ‘pulling the thread’ approach is what I need, but what is it?